At the invitation of Benny Uyetake, an ukulele master who teaches at Kalama Intermediate School, I spent a day at their Ukulele Explosion educational fair on March 30. I heard some great music, especially that of Benny's group, the Kalama Kids. 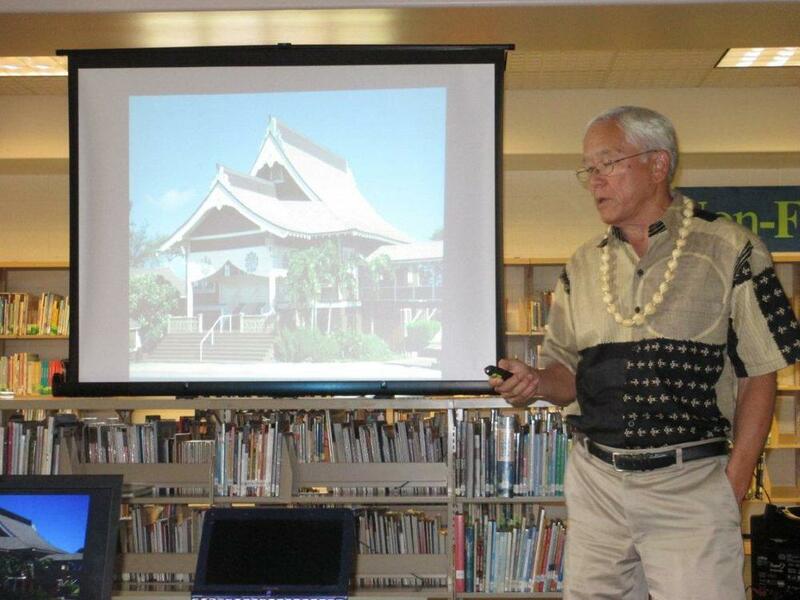 I did a PowerPoint presentation on Japanese Buddhist temples in Hawaii with a focus on Maui. Showing a photo of Paia Mantokuji Soto Zen temple.